Will Next Season Be Brees’ Last Chance to Win Another Super Bowl? Most Saints fans are still trying to come to terms with the reality that their favorite team essentially was robbed of the opportunity to play in the Super Bowl in the season that just ended. So, chances are likely pretty good that they haven’t given much thought to the start of the 2019 NFL Season, which is still another seven months from now. However, with the team being so very close to “going all the way” for the past two post-seasons in a row, it’s a safe bet to believe Saints head coach Sean Payton will do everything in his power to help the Black and Gold get back to the NFL Playoffs next season. The bigger question, however, might be: will it be their last chance to do it with Drew Brees as the starting quarterback? Brees — who just turned 40 a few weeks ago — still appears to be playing at a high level of performance. That’s thanks in part to his devotion to a strict training regimen which has already allowed him to extend his career beyond the age that most NFL QBs usually retire at (in their mid-to-late 30’s). Given that Patriots QB Tom Brady has just won his record 6th Super Bowl (and his 3rd in the past five years) at age 41 by following a similar training routine, it goes without saying that Payton and the Saints believe that Brees is capable of pulling off a similar feat. However, what the franchise needs to figure out going forward is just how long their capability to win a title with Brees actually is. Unfortunately for the Saints, they won’t have any warning that will tip them off to the dreaded and inevitable physical “decline” that will eventually hit Brees, which could come at any time now. Brady has defied the odds for New England, and he’s become one of the very few among this recent generation of elite-caliber QBs (in the past 20 seasons), to play into his 40s. Before that, the only other elite caliber QB to play into his early 40’s is recently retired and legendary NFL Hall of Fame QB Brett Favre — but he didn’t have quite the same degree of success that Brady recently enjoyed. After years of retirement uncertainty, 40-year-old Brett Favre took the Minnesota Vikings to the precipice of greatness. Favre, who won the Super Bowl as a 26-year old with Green Bay in 1996, attempted to win one last title 15 years later at age 41 with the Minnesota Vikings during the 2010 season. Unfortunately, he ended his remarkable career by being sacked and got knocked unconscious instead. Favre announced his intention to retire from the Vikings and professional football immediately after the game, during a press conference. That was nearly a decade ago now, and only one other NFL QB since then has played into his 40’s: former Seahawks QB Matt Hasselbeck. That’s what’s made Brady’s achievement so impressive, and it raises the bar even higher for Brees. While he has performed stats-wise at a very similar consistent level to Brady in his brilliant career, there is the very notable and glaring exception of their differing achievements in the Playoffs. Brady has won six Super Bowls and played in a whopping nine of them — while Brees has just the one title from 2009. That’s something that Brees and the Saints undoubtedly would like one shot at doing themselves; especially considering the way that their most recent season ended. It’s all part of a trend that actually began three off-seasons ago in 2016 when the Saints’ team brass first started to surround the soon-to-be 19th-year veteran with enough young talent (Sheldon Rankins, Michael Thomas) to help him win another Super Bowl before he leaves the sport of Pro Football. Let’s be honest: next season has a ton of potential for the Black and Gold, but it also could be the “end of an era” — namely for the coach-QB duo of Payton and Brees. The 2019 NFL Season will be the 13th season that the two men have combined to guide the Saints’ offensive attack (excluding the 2012 BountyGate Season). 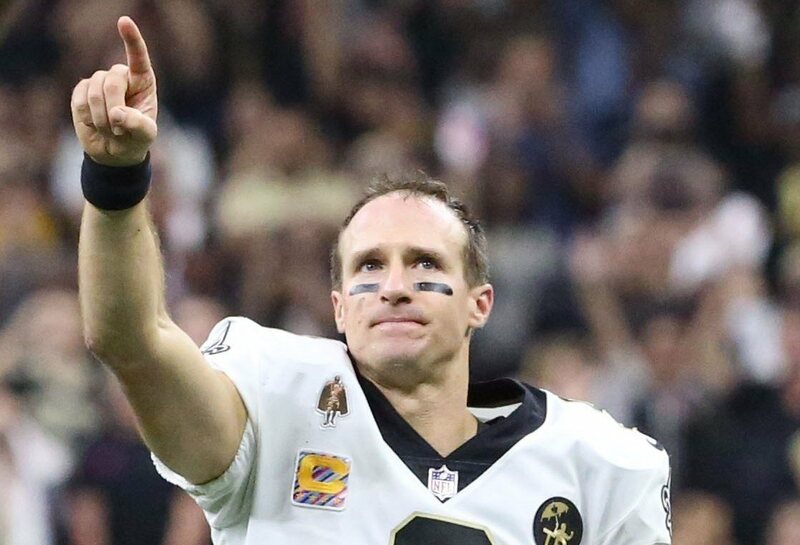 However, with Brees nearing the end of his career now, the organization not only needs to figure out what their plans are for him but their future after him as well. That’s why a particular emphasis will be placed on not just determining where things stand with Brees, but at the back-up QB spots behind him as well. Current #2 QB Teddy Bridgewater, whom the team got in a trade from the New York Jets last August, is now an unrestricted free agent. Teams that need a quarterback, such as the Washington Redskins and the Jacksonville Jaguars, will undoubtedly be looking to persuade him to leave New Orleans when 2019 NFL Free Agency begins on March 13th. As noted by Forbes Magazine sports finance analyst John J. Hendrix: there’s a chance for the Saints to get back a compensatory draft pick from the NFL if Bridgewater does leave. 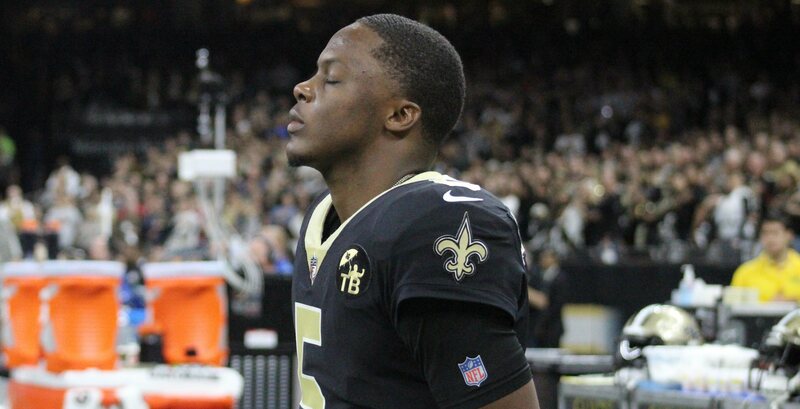 Since New Orleans already has $33.5 million in salary cap space previously allocated to Brees for what will be the final year of his contract next season, re-signing Bridgewater might be an option that the Black and Gold decide to pass up. The Saints might also take a look at adding another QB to the roster if Bridgewater does leave. New Orleans has shown a significant degree of confidence in 3rd-string QB Taysom Hill, but they aren’t entirely sold on the idea of him being the future starter on a long-term basis. It’s one of the reasons why it won’t come as a surprise if the team looks at adding one with one of their late-round picks in the upcoming 2019 NFL Draft. For now, however, their primary concern will be paying the money owed to Brees. Is it possible that Brees would consider taking a pay-cut? That seems unlikely given the state of previous contract negotiations between him and the team in the past, although GM Mickey Loomis told Times-Picayune/NOLA.com beat writer Josh Katzenstein that the team has ways to reduce that number if necessary. 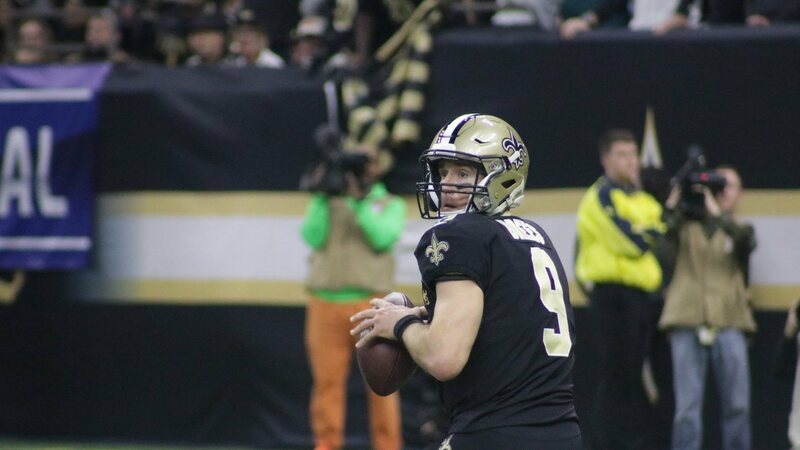 Brees signed a two-year, $50 million deal in March 2018. Last season, Brees counted for $24 million against the salary cap, but due to adding the amount of money that was owed to Brees from previous contracts and restructures, there’s more than over $50 million due to count against the Saints salary cap for the two years of the deal. In other words: Brees will still count for another $10.5 million against the Saints salary cap in the 2020 Season, even though he might not be under contract and possibly could already be retired. 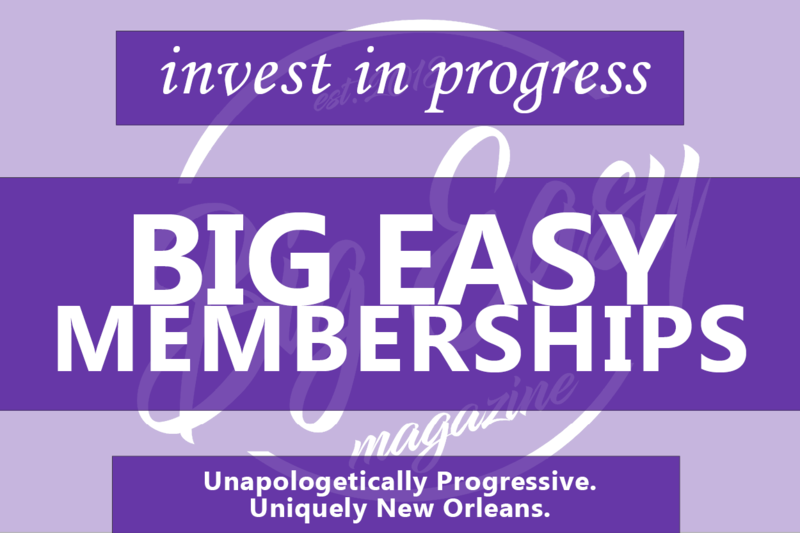 According to the folks at Over the Cap, New Orleans is currently $19.4 million underneath the salary cap for the beginning of the 2019 Free Agency period, based on a projected $190 million salary cap for the League next season. The Saints can create more salary-cap space by restructuring Brees’ current deal, or they could also approach him about a signing a new deal altogether. That could them save additional money for the upcoming 2019 season, but it likely would continue to keep Brees counting against their salary cap for years into the future. 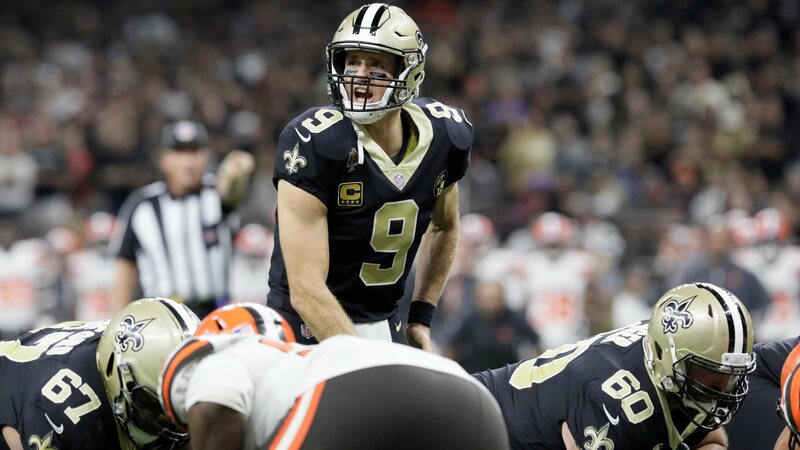 That’s the dilemma that the team faces at the moment, as they try to somehow shake off the still-stunning effects of the loss to the Rams while remaining a Super Bowl contender with Brees at the helm — and also make a determination about who will eventually be leading them into the future. somehow we need to eat brees’s cap money now.we will need cap space to resign Thomas,Kamara,lattimore,etc. to stay a competitive team in the future.no more ain’ts please.this from an original season fan that has suffered the bad along with enjoying the good.